Islamic State: ‘Thousands of civilians’ still trapped in Baghuz. 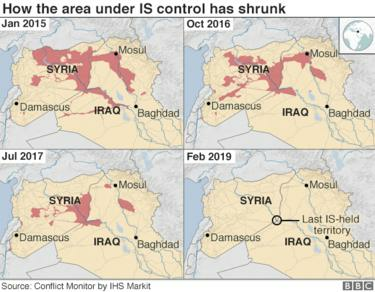 Four years ago IS controlled 88,000 sq km (34,000 sq miles) of territory stretching from western Syria to eastern Iraq, proclaimed the creation of a “caliphate”, imposed its brutal rule on almost eight million people and generated billions of dollars from oil, extortion, robbery and kidnapping. But in December, Mr Trump surprisingly announced the withdrawal of US troops from Syria as he believed IS had been “beaten”. 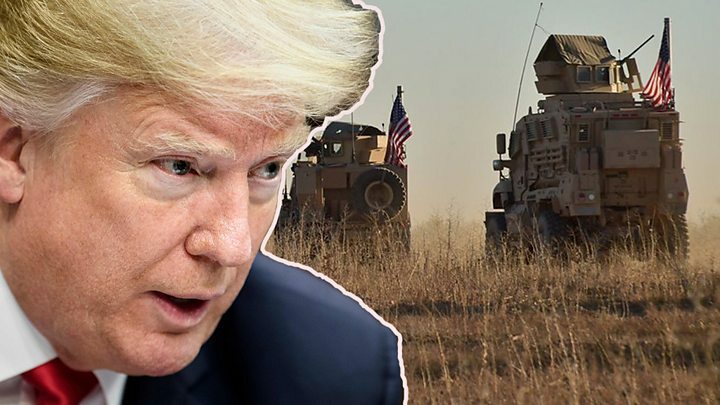 US President Donald Trump says the jihadist group is close to being defeated, after a battle for the final IS-held territory on the Syrian-Iraqi border lasted weeks.